Ten years ago, the publication of Helen Lee’s article “The Silent Exodus” posed a provocative question to the Asian ethnic church, “can the East Asian church in America reverse the flight of its next generation?” This definitive work underscored the conflicting issues of tending a spiritual home between first generation immigrant Asians and its westernized second generation. “I think the second and third generation Asian American Christians have a tough torch to carry, because they don’t completely fit into the first generation Asian ethnic church and they don’t necessarily belong to a typical Anglo church setting,” said Pastor Ben Kong of Queens Herald Church, a multi-generational Chinese church in Flushing. “These groups lose something in this process.”For immigrants who came of age in the 1970’s, they were the first generation who established Church services for their second generation children. They brought their children to church that had worship services that where bi-lingual. For them, the Asian ethnic church served as an important role in creating community to cultivate and affirm communities with common cultures and narratives. As the new generation of Asian American Christians are wrestling through these issues, they are new emerging trends among Asian American Christian who are developing innovative programs to meet the needs of the second generation Asian American Christian and serve as a bridge between first and second generation leaders. In the Korean Church several 1.5 generation bi-lingual pastors are serving as English speaking pastors who are able to negotiate between these two congregations and building stronger partnerships. Seminary attendance is one sign of Asian American Christians taking a directed approach in developing ministries. Western Seminary, for example, has three campuses; Portland and Sacramento are 11 percent Asian, while San Jose is 40 percent. Fuller Theological Seminary reports that 1,100 out of its 5,000 students are either Asian citizens or Americans of Asian descent. Asians account for 25 percent of the students at Talbot School of Theology. In the Midwest, Trinity Evangelical Divinity School (TEDS) reports an almost 9 percent Asian population. Several Asian ethnic churches such as New Song in Irvine California and Evergreen Baptist Church in Los Angeles are now sprouting throughout the United States that are moving towards integrating a multi-ethnic congregation to reach a new generation of believers. That’s awesome, Peter. So proud to know the author or this article! Thank you. Enjoyed reading this! Nice article. What do you think the ideal solution is? The “multi-ethnic” church in America is generally a misnomer. True, one look at the congregation may quickly reveal a diversity of ethnic groups. But the gospel climate of these multi-ethnic churches is usually white middle-class; the other ethnicities merely conform or absorb themselves into that climate, into the music and sermon style of white evangelicalism. This is for mainly two reasons. First, a multi-ethnic church often starts at being predominantly white before other ethnicities start to trickle in. Thus the core ethnic climate has already been set in white stone, as it were, and it becomes the prevailing and dominating ethnic culture of that church. Think: most white evangelicals who believe in a multi-ethnic church will never step into a Korean or Chinese church; their unspoken assumption is that the minorities will come to “their” (white) church for the purposes of building a multi-ethnic church. Second, a dominant culture has to dominate. Cultures are so disparate in preaching, worship, food tastes, in communication and relational styles, that it is virtually impossible to accomodate them all. By necessity, one culture has to dominate. And it is usually the white culture. Partly because I love being Asian, and partly because I know that that what makes Asians unique and special gets stifled in a multi-ethnic church setting, I have found it hard to join this lovefest for the multiethnic church. I’m inclined to agree with John Lee in this, and I would add that the pressure on immigrants to assimilate only heightens the likelihood that such churches have a diversity of faces in the pew, but operate in a very dominant culture way. I know that there is a tension that exists within the multi-ethnic machinery of church, but I believe that the exiting towards this environment is a way of expanding boundaries or exploring a season of faith that comes out of the comfort zone of being centrally in an Asian ethnic church. I find that for many of these young people they are not walking into these churches with the delusion that the multi-ethnic church would be have equally diversity in their voices. But the intersections of culture that requires a recognition of a broader community of believers. Yes, there are many multi-ethnic churches where some of the culture is stifled but I find that there is that tension in all churches…where a more progressive voice is being stifled by a more traditional voice…and there is no real sincere humility of serving one another that acknowledges and honors our respective legacies. What I intended to explore and challenge was that these generation of believers are NOT losing their faith but rather transferring localities to discover new ways of cultivating their call to discipleship. Peter, I just put you on a public list on my blog. Since you are the only non-celebrity on the list, let me know if you object to it, and I’ll gladly remove you from it. John, while I wholeheartedly agree with your assessment of white-based M-E churches, I don’t feel that your analysis addresses churches like ours–EvergreenLA–an historically Japanese ministry that, in the past 11 years, has become a wildly pan-Asian, multigenerational, and multiethnic congregation. As you noted, our dominant cultural group(s) (Japanese and Chinese) tend to dominate the others, but as we aim towards become a new humanity in Christ, we who currently control the culture of EBCLA are learning to yield power and influence to those we outnumber. Diversifying our deacon board, my staff team and our worship teams has underscored this intention. Last year (06) we began to see huge numbers of Mexican Am youth start coming to our youth fellowship; one result is my hiring of Pastor Steve Rivera, a single-dad middle-aged ex-con from the nearby neighborhood. I’m glad that you’re posting these issues, Peter! As a teen I discovered Calvary Baptist Church afger an eveninb concert in Central Park. From 1969 and 1977 I was a member there. There are some Asians in that church, but not many. There were Chinese going there for Sunday Schoo and then went back to their ?Chinese church. From 69-72 I was away for college and was home for the summer. Two summers were spent on Billy Graham Crusade in which the church was very much involved. Besides being a volunteer, I was also Counsellor for the l967 and 1968 Billy Graham Crusade. Upon graduation from college, I attened Calvary regularly. I grew up in Hong Kong and came to America when I was sixteen. I went to lunch with my fellow young Christian and then attend the 7pm evangelistic services It later moved up to 6pm. whne I discovered Calvary, I was going to a Chinese church with my family in Chinatown. There was a time I attended both churches. I chose to become a member of Calvary because I was interested to become a missionary. I do recall one day in a subweay I felt I didn’t quite belong to the church in spite of going to Open Air meetings, Goldwater Hosp., etc. When the dynamic pastor decided to resign, I shed my tears. I went away to Hong Kong to graduate school. 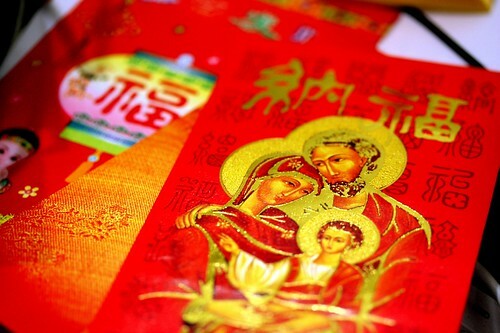 When I came back i was interested to attend a Chinese church and was encouraged by one of the pastors church to do so. He knew of a Chinese pastor and mentioned him to me. As I became a leader of a chinese church, the wise pastor considered the next generation although he was newly from Hong Kong. Under his leadership, we invited Daniel Ho to head the English work but not much later he moved to Qyeens. i moved with him. Ideally, churches should be international. However, the international students will not be baptized by a pastor but a lay leader. They find their own church instead of joining the church where they use the facility to be baptized. Many go back to their home countries and have to be in national churches instead of international ones. I cited my expereince to share. I am noiw going to a Mandarin church as i can speak Mandarin. We want to reach people who speak the national language of China. I am involved with reaching internationals as I join friends who want to reach students from all over the world.